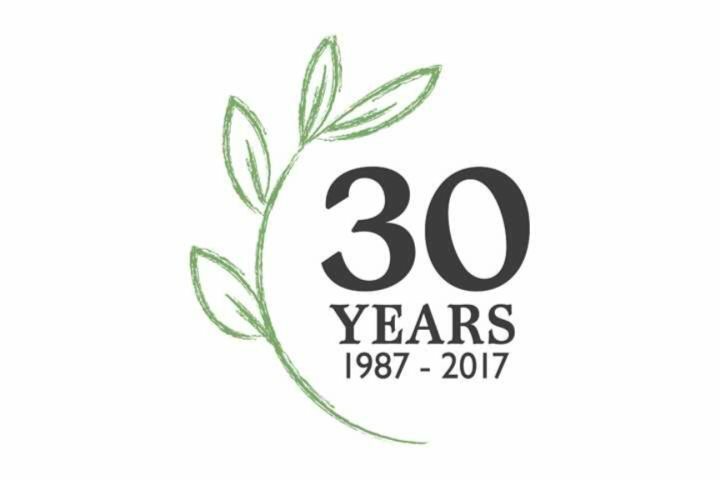 In 2017, we are delighted to be celebrating our 30th year of providing holidays to the beautiful island of Corsica. After our best season ever in 2016, we’re looking forward to next year and providing you with even more flexibility and choice with both our flight and accommodation options - from luxury villas in scenic locations with awe-inspiring views to traditional Corsican houses full of character, cosy apartments and small family-run hotels. We offer flights into all four of the island’s airports, including our own chartered services into Calvi and Bastia in the north and Figari in the south. Departures are available from Heathrow, Stansted, Bristol and Manchester. View our flight timetable here. We’re delighted to have won bronze at the 2016 British Travel Awards for ‘Best Small Holiday Company to Western Europe’. Thank you to all of those who voted for us, we really do appreciate your support. 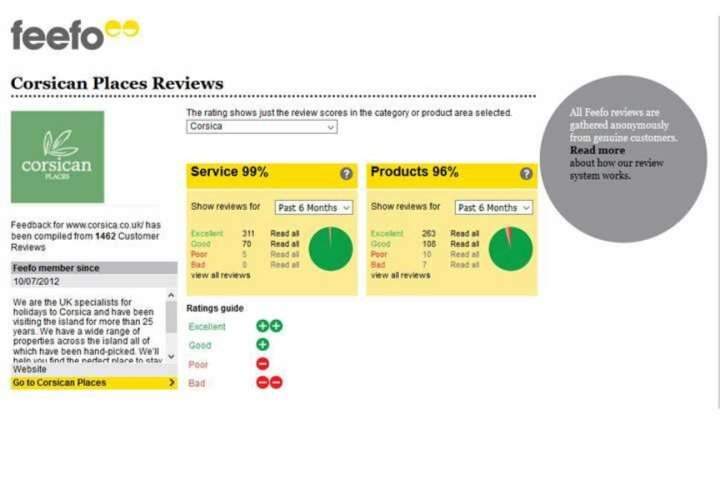 As the world’s most trusted supplier of independent reviews, we’re particularly proud of our Feefo scores, which currently stand at 99% for our service and 96% for our product. An excellent score, we think you’ll agree, reflecting our exceptional customer service and choice of holidays. The 2016 season in Corsica was our busiest ever, with all our charter routes proving very popular. We’re forecasting another busy season for 2017, so we recommend booking early to ensure that you get your chosen accommodation and holiday dates. Why book your 2017 holiday with Corsican Places? We always aim to provide that little extra something for our customers. Just one example of this is our comprehensive, easy to carry guidebook that we provide with all bookings, packed full of information including the best places to visit and the best restaurants to discover. 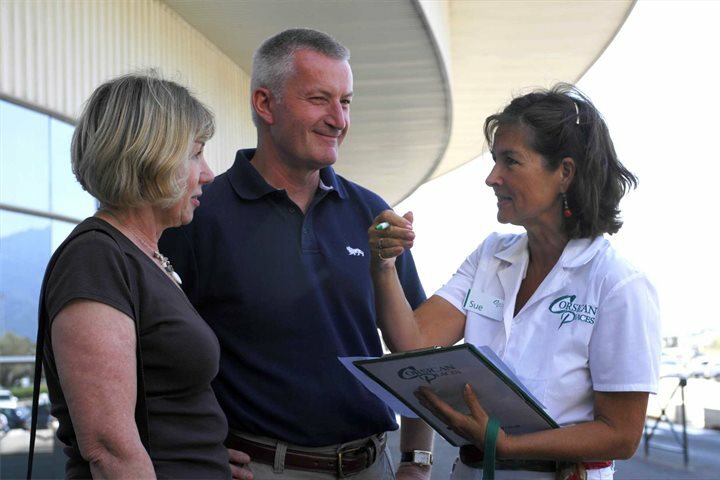 Our helpful and knowledgeable in-resort staff will also be on hand to offer you as much or as little support as you may need. You’ll have a direct contact number for your representative, so should you have any questions you can simply give them a call. 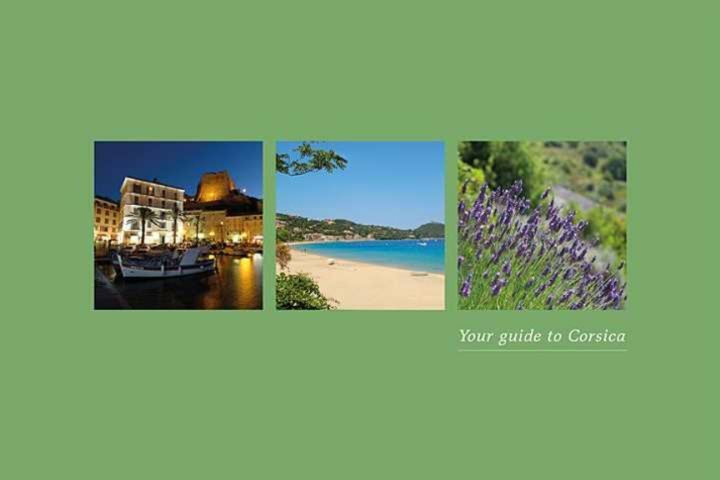 Our reservations teams have first-hand knowledge of the destination, so if you’re considering a holiday to Corsica, but you have some questions – no problem – they will be happy to answer your queries and can give you trustworthy recommendations. If you have booked a holiday to Corsica, Sardinia or Sicily through us within the last three years, you’re entitled to a loyalty discount of £35pp.